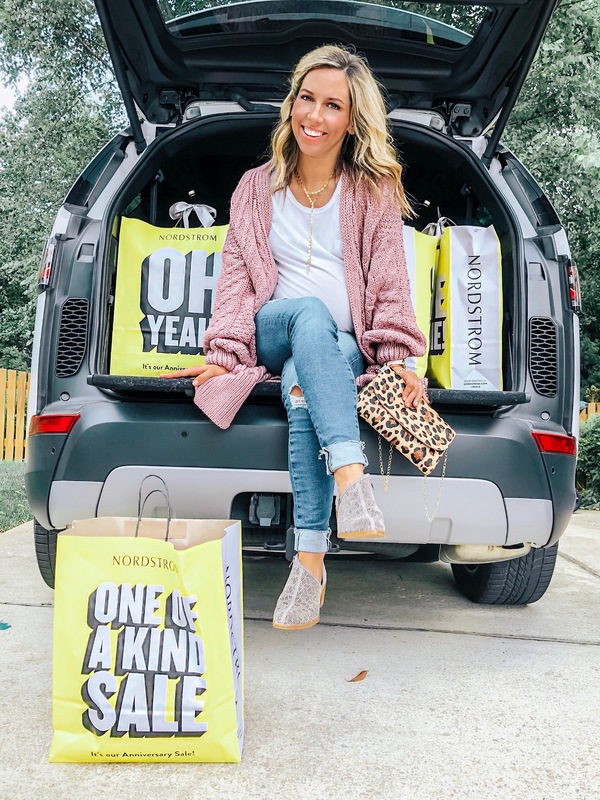 The 2018 Nordstrom Anniversary early access sale is here! I woke up at 3 am to do my shopping online, and was able to pick up some of it in store today. Last year sizes and colors sold out so quickly, so I wanted to make sure I got stocked up on my fall basics in case that happened again. I’ll be doing some try ons (for the things that currently fit) on instagram stories & sharing some of my favorites on my feed. Here are all my favorite tops & sweaters that are not only great prices but great staples and fun fall pieces. Just click the image for more info, and if you see something you love don’t wait because things do sell out really quickly! Leave it to you to find the cutest of the cute in the sale! I can’t wait to see all these goodies on you this autumn and winter!